Apparently at this time a new 2011 calendar is one of our urgent needed gadgets. 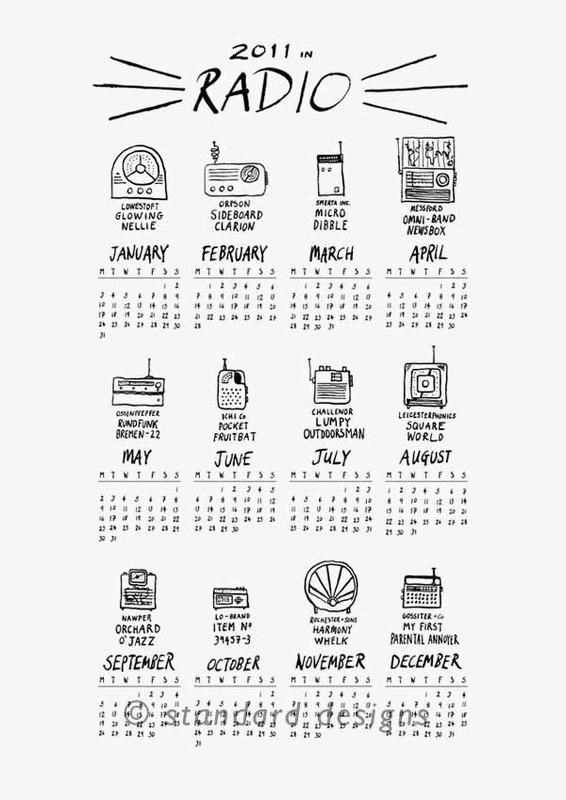 So if you also like those vintage radios, you’d like to check the following 2011 calendar. 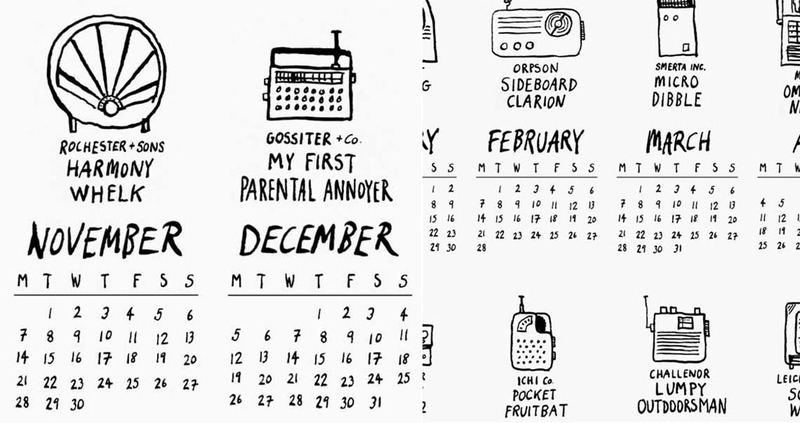 This is an unique 2011 calendar themed by those vintage radios like Lowestoft Glowing Nellie, Orpson Sideboard Clarion, Smerta Inc. Micro Dibble ,Messford Omni-Band Newsbox, and etc. We’re so sorry, we’re just familiar with their looks, but do not know their names. 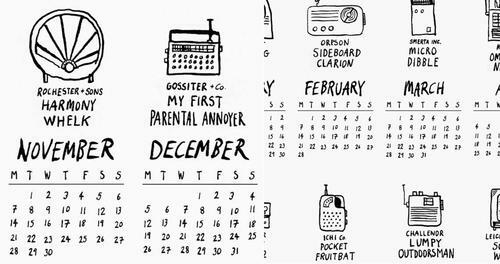 The calendar is designed by Simon, an artist living and working in London, and printed on a piece of 80lbs/120gsm art paper. The whole calendar features a simple sketch style, and measures 42 x 29.7cm, from the image, apparently can be applied into a matching photo frame. It’s a little pity that the 2010 calendar doesn’t ship with a photo frame. 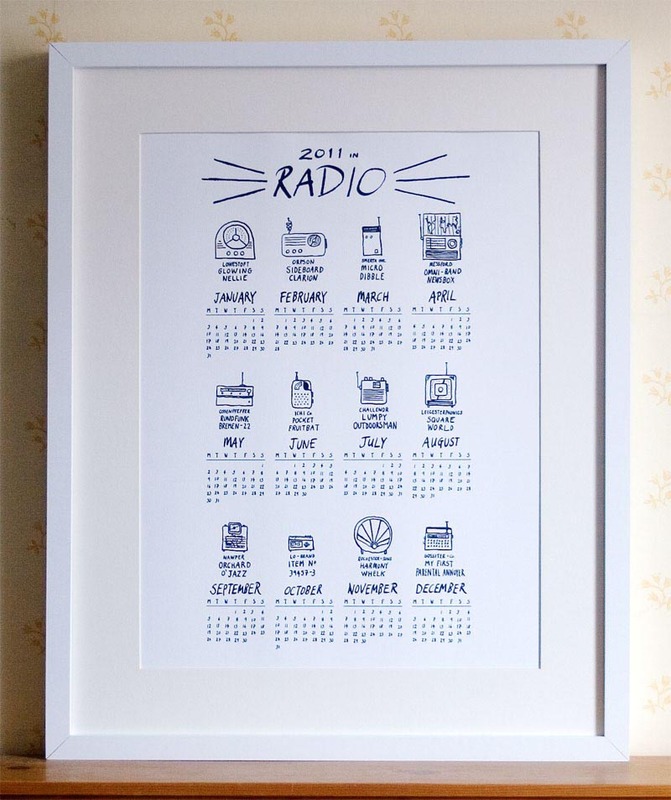 The vintage radio collection 2011 calendar is priced at £10 GBP (about $16.19 USD). If you’re interested, just to Etsy for more details. Additionally, if you need more alternatives, you might like to check the Space Invaders calendar and the art desk calendar with wooden easel.